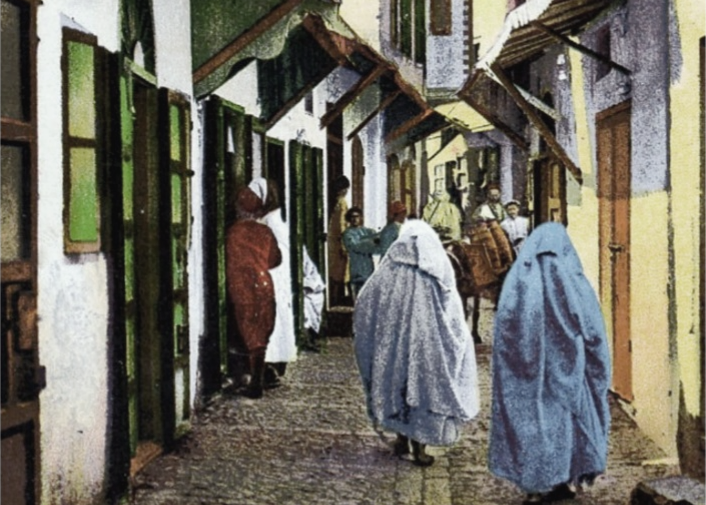 Street scene, Tangier, Morocco, c. late 1920s–1930s. Detail from a hand-tinted photograph on a postcard. “Everything is nice” seems at once to translate and not to translate a common Moroccan expression (kulshi mizzian) and more generally a Moroccan manner of speech in which precision of meaning gives way to a refusal to condemn or to judge God’s world. Indeed, whatever the expression Jane Bowles would have heard in the context, it would likely have been followed by hamdullah (“praise to God”), a phrase Bowles doesn’t render or include. In this sense, the phrase “everything is nice” is not a translation of the Moroccan expression but rather the representation of the failure of communication. In early 1950, about the time Jane was working on the article for Mademoiselle, she wrote to her husband and mentioned how Morocco makes her feel “connected” with her work. Her main aggravation was learning to speak Arabic. “I just can’t accept having gotten this far in the damn language, and not getting any further,” she wrote. “With me, as you know, it is always the dialogue that interests me, and not the paysages [scenery] so much or the atmosphere.” And, as readers will discover, it is the dialogue—and her frustration with it—that forms the center of her text. 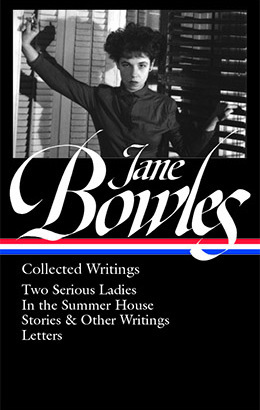 Both versions—“East Side: North Africa” and “Everything Is Nice”—are included in the latest Library of America volume, Jane Bowles: Collected Writings. We present here, as our Story of the Week selection, the original article Jane wrote for Mademoiselle. The highest street in this blue Arab town skirted the edge of a cliff. I walked over to the thick protecting wall and looked down. . . . If you don't see the full selection below, click here (PDF) or click here (Google Docs) to read it—free!